IN ONE ACCORD: Davia Moore-Gordon (2nd left), Acting Principal at The Randolph Lopez School of Hope, with VMBS' Courtney Campbell (left) and Naketa West (2nd right); Minister Claudia Ferguson, Secretary at the NLPBC and Rt. Rev. Stanley Clarke, NLPBC Chairman. 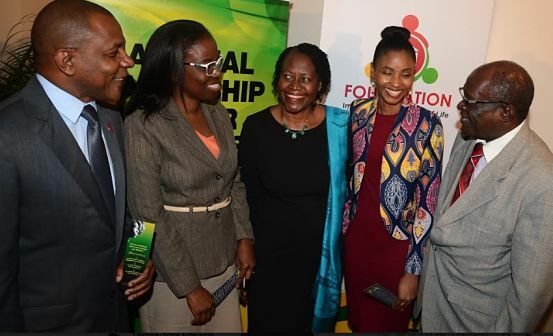 PROCEEDS from the 2019 National Leadership Prayer Breakfast, set for Thursday, Jan. 17, will be pumped into the Peace Management Initiative’s (PMI) Safe Schools Monitors Programme, which commences this month. The announcement was made on Tuesday morning, as the NLPB committee hosted a press briefing inside the Rio Bueno Suite of the Jamaica Pegasus Hotel in New Kingston. The aim of the project is to provide greater security and support to pedestrian students travelling from school in the Kingston Central police division. The main schools being targeted under the initiative are: Kingston College, Holy Trinity High, St. George’s College, Kingston Technical and Alpha High and Primary. According to the PMI, the main risks to the students on their way home include bullying, harassment and robberies. Six safety resource monitors will be trained in the areas of conflict resolution, psychological first aid, mentorship and guidance and first aid. 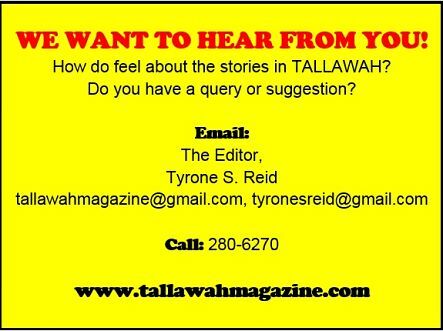 The project, which will also include the promotion of community initiatives, town hall meetings, socials and workshops, is scheduled to run from January to June. Now in its 39th year, the National Leadership Prayer Breakfast (sponsored by the VM Foundation), sets aside funds from annual donations to support a charity selected by the committee. In the past, they’ve made sizeable contributions to Children First, the Eira Schrader Home for the Aged, last year’s adoptee the Randolph School of Hope, among others. This year’s prayer breakfast theme, “I Pledge,” was inspired by the national motto.